Veteran poker pro David Williams has hit out at the US government in a recent interview. Speaking during the recent WPT World Championships in Atlantic City, Williams was asked by NewJerseyCasinos.com reporter Ryan Hagerty what he thought about the latest efforts to regulate online poker in the US. After explaining that he's not particularly "bullish" about the industry at the moment, simply because the state-by-state system isn't conducive to large player pools, he went on to praise the efforts of organisations such as the Poker Players Alliance. However, despite applauding the work of the PPA, he ultimately fears that the US government will never regulate online poker in the US. "To be honest, I'm not too bullish on online gaming. With the system being state based it just doesn't seem like it has enough players to be sustainable," said Williams. Describing those in power as "stubborn", the WPT and WSOP champion doesn't believe that the community can change the minds of politicians. "I think it's great that organizations such as the Poker Players Alliance are putting in the effort to fight for online poker players. However, at the end of the day, the US government is pretty stubborn and stupid about the industry and, unfortunately, I don't think we're going to be able to change their minds," Williams told NJC. 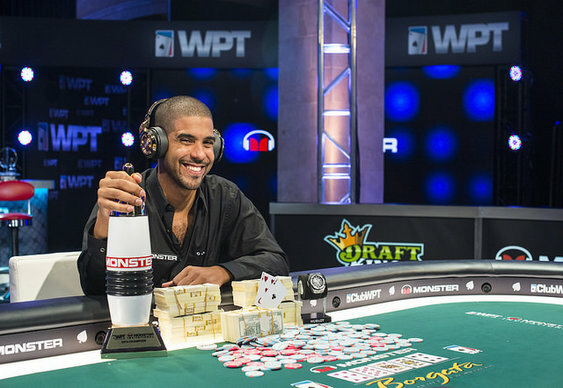 Although Williams seems somewhat dejected with regards to online poker in the US, there are signs that the industry is gaining traction. Three states, including New Jersey, Nevada and Delaware, have already regulated igaming, and they may be joined by California in late 2015. Legislation in the State is currently a work in progress, but the latest news is that things are progressing well and that regulation is now a matter of when, not if. Given the size of California, many have suggested that this could be one of the lynchpins that will unlock further legislation across the US. There's no doubt that online poker and casino games in California will generate a healthy amount of revenue and if the state is willing to share playerpools then it could create a booming economy which politicians would find hard to ignore.